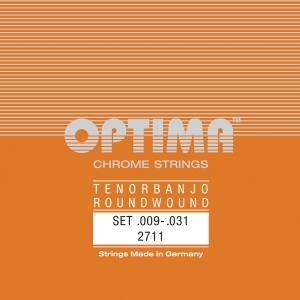 Banjo strings with the certain "Twang"
OPTIMA Banjo strings have this certain "Twang". This little pitch fluctuation when plucked makes out here the (Banjo) music. Our silver plated strings sound „smoother“ than standard Phosphor Bronze strings and are therefore ideal for the Banjo. These strings are available with ball as Ball-End version with a 10% surcharge.